geschreven door Maggie White, Director of First Thought Equine. It is a well known fact that horses change shape – or maybe it is not – Or is it that we see our horses daily and do not notice the small changes that add up to a head plate fitting change, or don’t want to. We are happy – maybe “happy” is the wrong word – to pay for the farrier every six weeks but not for a saddler in the same period or even every 3 months. Maybe we just do not appreciate how little change is needed to alter the way the saddle sits. Or we do not appreciate that such small changes alter the riders balance and hence weight distribution. But a horse can feel a fly land on it – so obviously changes in the rider’s weight distribution are going to affect the horse. We all live incredibly busy lives so time is at a premium but surely a few minutes looking – actually looking – at our saddles sitting on the horse would be worth the better performance and happier horse. Why do horses change shape? Well of course there is the effect of age, work, fitness, feed, spring grass, stress etc. Then there is the change in musculature due to strength built up from the work being done. Even a visit by a therapist will change and relax the musculature. This is why you should never have a saddle adjusted just before a therapist visits but do it afterwards. It does not matter if your horse is a novice or a Grand Prix dressage horse the changes will still happen – and very quickly. If you go to the gym you do so because you wish to get fit but probably as importantly to improve your muscle tone and hence shape. Schooling your horse is the same – you are effectively the gym. If a saddler visits and changes the saddle fit or supplies a new saddle and the horse works better as a result, then it will change shape. And it can be within a matter of a week. This can be frustrating and is the reason many saddle companies make saddles that can be easily adjusted by the rider (or saddler) using different head plates which change the angle that the tree makes over the back of the scapula. Saddles that are out of balance front to back due to be being too narrow at the front or too wide at the front, will create uneven force distribution which over times will cause back pain and reduction of performance in the horse due to the discomfort. After riding if you run your hand across the horses back the musculature should be soft and not hard. The horse should not cringe away from pressure when brushing the saddle area. There is documented evidence (Greve at al 2015) that exercise can create transient increases in dimensions of a horses back if the horse is working correctly on the bit. Others studies on sports horses being monitored bi- monthly show that considerable variations occur in back dimensions over a year. (Greve and Dyson 2015). How often should I adjust my saddle? In years gone by, the common view was that a once yearly check would be sufficient. 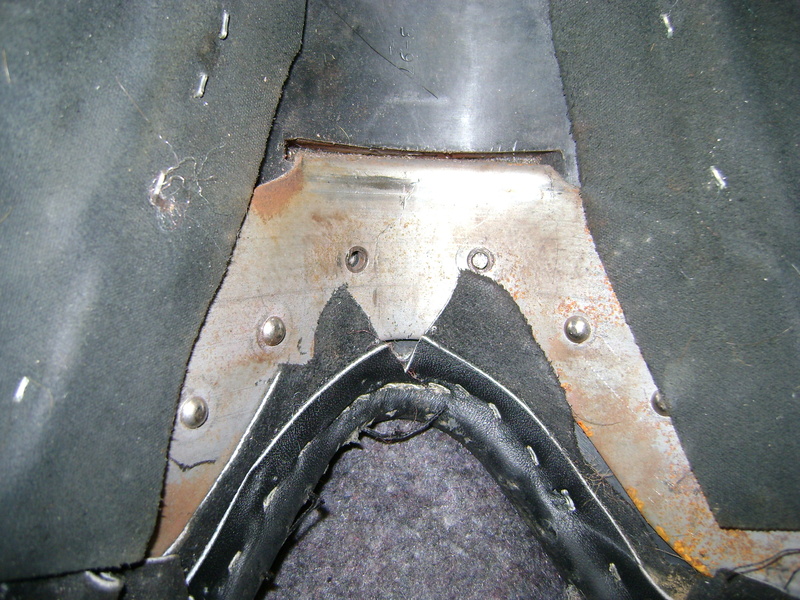 In recent years there has been considerably more research into saddle fitting. Dr Sue Dyson, a leading authority on the subject based at the Animal Health Trust has published numerous papers which can be viewed on the internet. This is in addition to anecdotal evidence that saddle fitters will tell you about worldwide. The general opinion is that every 3 months is sensible for competition horses, and with our sponsored riders we often visit every six weeks during the competitive season. It is possible to actually monitor the horses shape if you have access to interchangeable head plate. If spare sizes are kept in the grooming kit it is easy to place them gently on the horses back to see the fit – Alternatively you can use the bendy rule purchasable over the internet, to template the back on a regular basis and so compare. Weigh tapes are also useful. If the horse works noticeably better for a period of time after a change has been made to a saddle, he/she will change in the musculature definition and then the saddle will no longer fit as well and require adjustment. This can happen in a matter of days, if the change in movement is profound. As horses are taught more advanced movements or to jump higher fences etc, they use and develop their muscles further requiring more adjustments. If a horse is not improving or not being asked to work effectively he will not change shape and so will not requirement saddle adjustments. So if your horse is developing and improving in his/her work then you should check the saddle fit either yourself or using a saddle fitter more often. If the horse is not working hard or effectively then once a year checks will be fine. The knock on effects of ignoring discomfort for the horse are expensive, and over time can cause lasting damage. An uncomfortable horse will never work as well as a horse that is happy in its tack, and as the rider/owner it is your responsibility to think about, learn and be able to recognise the fact that the horse has changed shape AND DO SOMETHING about it. It is not the saddler’s responsibility to monitor the horse: their expertise is to change the fit to help the horse improve – but it is a constantly changing situation, as the horse develops through his life with changing work. 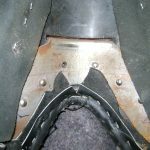 Riders are now often able to adjust head plates themselves, so do not have to call out a saddle fitter every time, and in those instances have absolutely no excuse to have a poor fitting saddle. Dit bericht is geplaatst op 16 maart 2019, in Kennisbank.